Tomorrow will be Kidlet's last day of school before Thanksgiving this year so I will have a new bento to add in :) For now, here is a round up of past Thanksgiving bento lunches that I have made! 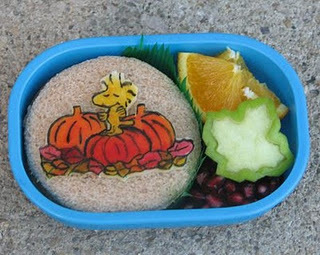 The Great Pumpkin Bento probably counts more as a Halloween bento, but I think it's so pretty and fall looking that I decided to include it. 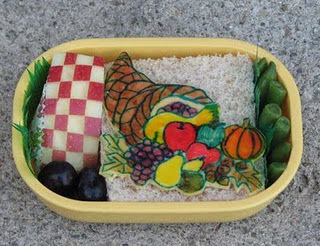 This Cornucopia Bento is very festive and fun! 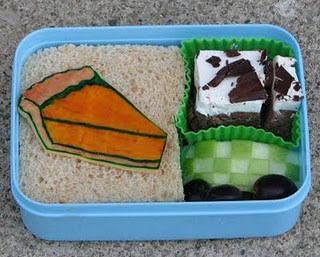 Double Pie Bento includes both real pie and cheese drawing pie! 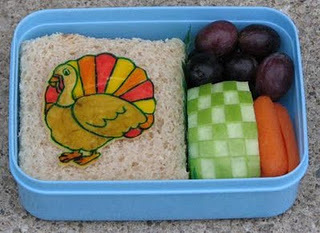 Turkey Bento is very fun! 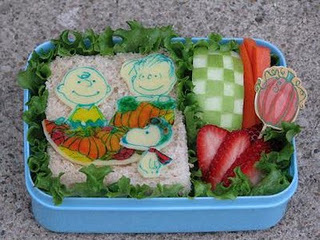 This Woodstock Bento is very festive with fall colors! Hi Jenn! 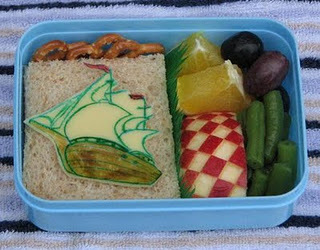 Is fun to see your bento round up. Wish you and your family an early Happy Thanksgiving!